Firstly, please turn up your volume. For me, the original version of this song is the best. But, this picture and quote that I put up on my Facebook Page yesterday inspired this rendition of the song True Colours you are listening to now (or, you are if you turned your volume on/up as you were requested to). This subject of knowing and being yourself, is at once so simple and so deep. 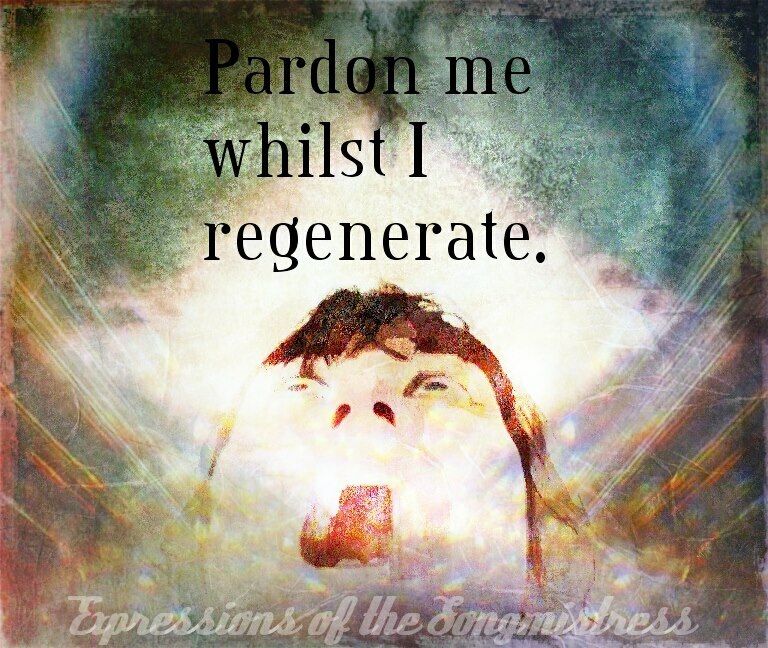 I am presently going through what I call a regeneration (those of you who are Whovians will automatically get the reference) which began at the close of last year and is continuing on. If you aren’t a Doctor Who fan…well, I feel very sorry for you… um… leave now and go do whatever it is non-Whovians do. Moving right along… Regeneration. It isn’t just for Time Lords. but it is necessary in order to continue living. I can’t promise you what you’re going to get. This year I feel that, in and out, I am becoming myself. The outward display of that are the new tattoos and piercings. 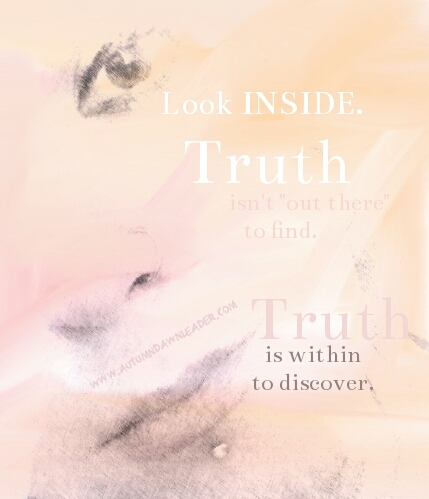 The inward display (the most important) is in my comittment to cultivate awareness and live in the present. In other words, meditation and mindfulness. It’s about not diluting my colours for anything or anyone. It’s remembering. Discovering. It’s awareness. That with undiluted hues I may leave my mark on the world – not a watered down, dirty smudge, but a vibrant, beautiful work of true artistry. Tell us about a book you can read again and again without getting bored — what is it that speaks to you? I certainly wasn’t going to let an opportunity pass to gush about it. I have lost count how many times I have read this book. It frustrates me that in all the C.S. Lewis quote pages I am subscribed to both on Facebook and Twitter, I have never seen any quotes from my beloved Till We Have Faces. I can’t figure it out…or, maybe I can. 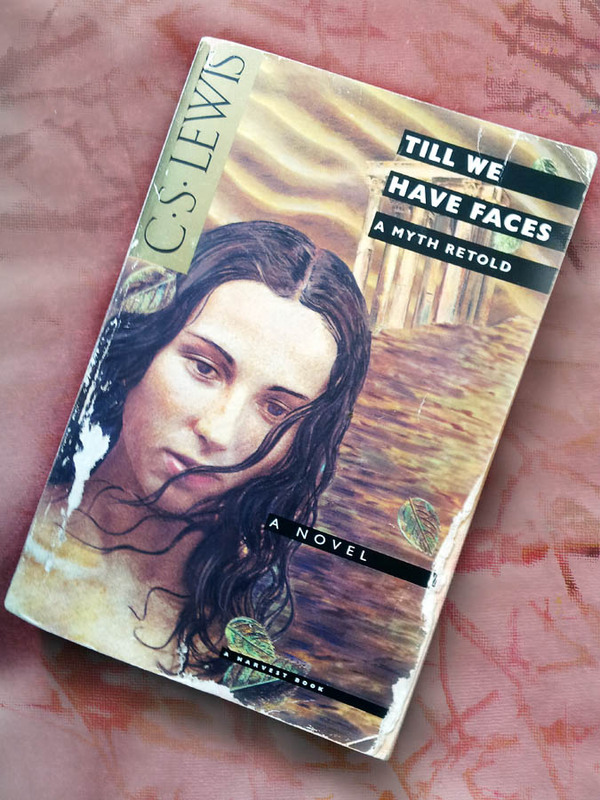 Till We Have Faces is not an easy read, in that you are slapped right in the face with yourself. It’s painful to read something that so lays your soul bare – something that so exposes the true nature of yourself. I’d like to say that like so much of fantasy fiction (or, in this case, the re-telling of an ancient myth) that clothing the truths in the guise of a well-told story will lessen the blows it delivers. But, I’d be lying to you if I told you that. This book brings one face to face with themselves and, most of the time, that just isn’t pretty. It is, however, very liberating. Every time I read this book I get something out of it. It never fails to speak to me. And, while its lessons may be hard to swallow, it manages to remain entertaining (a spoonful of sugar afterall, perhaps). I certainly wouldn’t want to scare you off from reading it (I, personally, think it should be required reading for every person on the planet), I suppose someone might be able to ignore the obvious while reading it and simply read it for its most excellent story. But, I suspect, one would really have to be utterly obtuse to get through it without seeing the message at its heart. The core of the book lies in the difference between selfish and real love. It shows, in great detail, what we do to others when we say we love them but how often everything we do is out to serve ourselves and not what is best for the one we confess to love. It also examines how too often we only see and hear what we want to see, even when the truth is staring us right in the face. Till We Have Faces is a re-telling of the classic myth of Psyche and Cupid, told from the perspective of Psyche’s older half-sister. It is a first person narrative, and I defy anyone to not see and hear themselves in Orual. I certainly identify with all her struggle. I would implore you to read it. I would get down on my knobbly knees and beg for you not to delay after reading this post but go secure yourself a copy. I would plead with you to discover this most forgotten but best of C.S. Lewis’s works for yourself. But, eh, who listens to me, huh? I hate it when people ask me if I’m ok. I’ve never been ok. I’m not familiar with ok, ok? “Ok” is a foreign concept. Just stop asking me. Because, I’m tired of lying to you and giving you the answer you want. If you ask me, I will tell you the truth. And, I know you don’t want that. So, please, do us both a favour and just don’t ask.